David Marlow is a visionary Chief Executive and development economist who worked in the public sector in the UK and internationally for over 25 years. He established Third Life Economics (3LE) in late 2008 to pursue a more diverse portfolio career – “delivering interesting, innovative work with stimulating people and organisations’. You can read the story of the birth of 3LE on our news and articles pages. Since 2008, he has become one of the leading advisors and commentators on England approaches to devolution leadership, governance and local economic growth – working with national, regional and local government, universities, private and third sectors. Read about 3LE’s specific deliverables in these roles on the news and articles pages. David offers the “full service” of research, intelligence, analysis; advocacy and promotion; design, appraisal and development; to negotiation and facilitation. He is comfortable in executive and non-executive roles and positions; in chairing, convening and facilitating events and workshops; in authoring and in acting as sounding board and ‘critical friend’. And in a diversified portfolio he has considerable international exposure – most recently leading the UK strategic recovery planning team to the UK’s Caribbean Overseas Territories in the aftermath of Hurricanes Irma and Maria in Autumn 2017. David particularly enjoys and welcomes building long-term relationships with clients and colleagues, working through complex challenges and opportunities creatively and decisively. If 3LE is about “interesting, innovative work with stimulating people and organisations”, David’s 25 year public services career – 8 as CEO of large complex institutions) was a perfect proving ground – encompassing some of the most profound changes locally, regionally, nationally and globally over the late 20th and early 21st centuries. 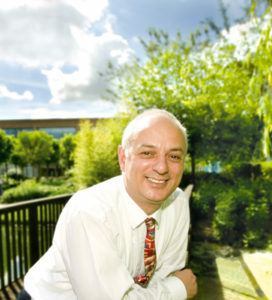 As Chief Executive of the East of England Regional Development Agency (2003-2008), David was instrumental in formulating the regional economic strategy (RES) for East of England; led the development of economic narratives for “Greater South East”, “Thames Gateway” and “Regional Cities East” as well as the RDA “climate change smart growth” strategy. During his tenure EEDA provided assistance to over 100,000 businesses per annum, delivering 12 “enterprise hubs”, supporting 5000 knowledge economy businesses, a major £100m community regeneration programme across 10 local authorities, and investment portfolios of new university centres, business parks, and town centre developments. He established purposeful relationships at up to the most senior levels with central and local government; large corporate/multinational businesses and business representative bodies; higher and further education; and the whole range of stakeholders and partners instrumental in the future prosperity of the region. During his leadership, EEDA achieved all government spend and output targets over 2004-2008 period – the first time in EEDA’s history. From 1996 to 2000, he was Executive Director at Southampton City Council, taking the city unitary in 1997, and managing large capital investments such as the West Quay Shopping Centre and St Mary’s Stadium, as well as major maritime events that transformed the city. From 1994-96 he was Senior Institutional Development Advisor for DFID in Southern Africa, integrally involved in establishing the UK aid programme that supported South Africa’s transition from apartheid under President Mandela. David graduated from Keble College, Oxford with a BA in PPE in 1980, followed by an MA in Development Economics from the University of East Anglia. 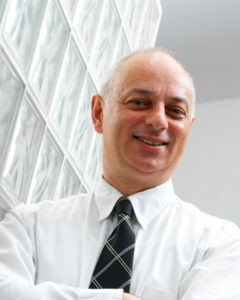 In 1997, he completed his MBA qualification “with distinction” at the University of Sheffield. He is currently Visiting Professor at Newcastle University, and is preparing for a PhD.